Game a Week: Week 1. 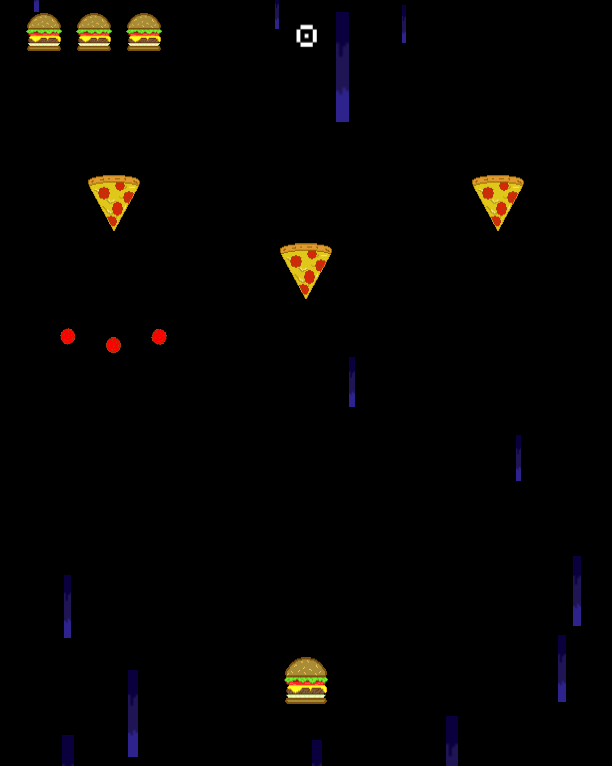 A game about destroying pizzas with lasers because cheeseburgers are a superior food. If this game had an ending it would end with our hero coming face to face with a cheeseburger pizza, then, unable to reconcile this being's existence, spiraling into madness.